Last Thursday, sophomore forward Yves Pons suffered a facial injury during Tennessee’s practice that kept him out of their game against Florida on Saturday. 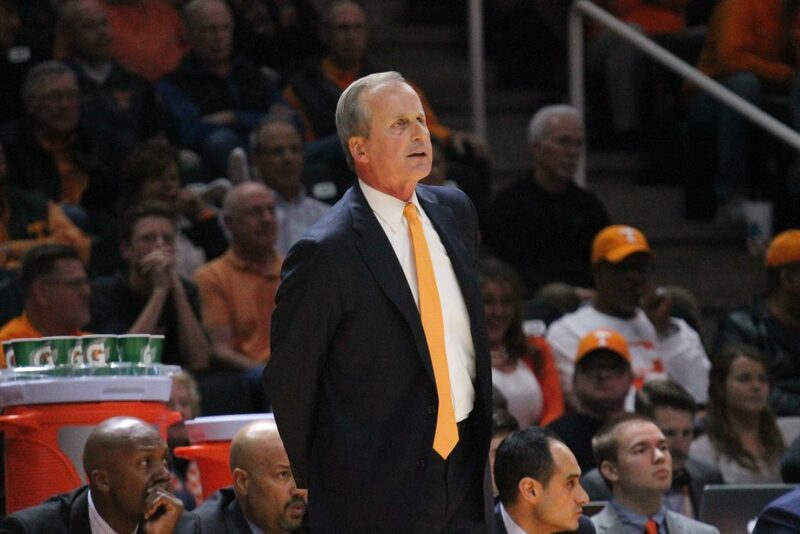 Pons had to have facial surgery on Friday afternoon, and Rick Barnes held him out of Saturday’s contest because of that. Though Pons will continue to be evaluated ahead of Wednesday’s game with the Gamecocks, head coach Rick Barnes did provide an update during his press conference on Monday afternoon. “I talked to Chad (Newman) [Tennessee’s Associate Director of Sports Medicine] earlier, and they did a little bit with him yesterday – just dribbling and stuff like that,” Barnes said on Monday. “He still has a little bit of swelling. He’ll have to wear a mask. In 22 games this season, Pons is averaging 3.2 points and 2.4 rebounds in 15.7 minutes of action. Assuming his mask arrives in Knoxville on Tuesday as the staff is anticipating, he’ll appear in his 23rd game against South Carolina. “He’s gonna have to wear that mask probably for a couple of weeks,” Barnes said. “But knowing him, if it’s here, he’ll play. Pons isn’t the only Vol dealing with an injury. Though not to the same severity as his teammate, point guard Jordan Bone tweaked his left ankle late in the first half against Florida on Saturday. Bone came out and received medical attention, but he later entered the game and played the majority of the second half. “He’s (Bone) fine,” Barnes said of his junior point guard. “Again, Chad called me and told me he was fine. He came in yesterday and worked with Chad. Bone has started at point guard every game this season for the Vols. The junior is averaging 13.3 points and 6.6 assists per game. Florida head coach Mike White said after Saturday’s game that Bone is the best point guard in the SEC this season, echoing what some national analysts have said about him this season as well. The No. 1 Vols have had some injury issues a few different times this season, but there hasn’t been any significant injuries to any key players as of yet. Redshirt junior guard Lamonte Turner missed nine games early in the season due to a shoulder issue after offseason surgery, and Jordan Bowden missed Tennessee’s first match-up with South Carolina on the road a couple weeks ago after tweaking his knee in warm-ups. Aside from those two instances and the current injuries to Pons and Bone, Tennessee hasn’t had too many injury concerns this season. No. 1 Tennessee (22-1, 10-0 SEC) and South Carolina (12-11, 6-4 SEC) will tip off at 6:30 p.m. ET on Wednesday night from Thompson-Boling Arena. The Vols defeated the Gamecocks in Columbia 92-70 on Jan. 29.